What Does Scott Gottlieb Mean For Medical Cannabis? So, it looks like Scott Gottlieb, MD, will be appointed Director of the Food & Drug Administration (FDA), much to the cheer of those in the pharmaceutical and biotech industries. Gottlieb seems to favor faster drug approvals, and wants to cut down on many of the government regulations surrounding it, but what does that mean for MMJ? One of the ways the Trump administration intends to do this is by putting greater weight on anecdotal data, patient reports and observational studies. 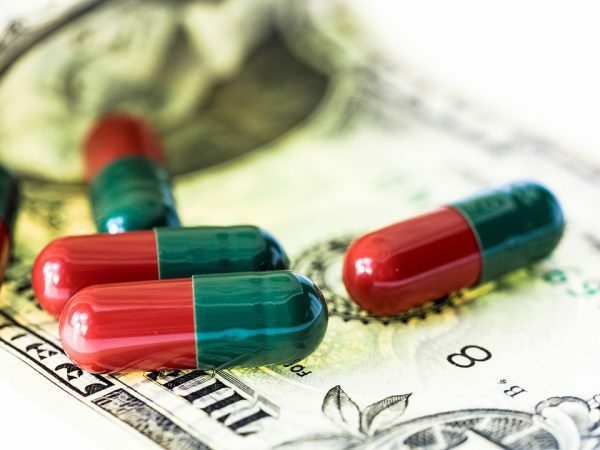 Another is the breaking up of complex patent vehicles that potentially allow companies to own medicines “in perpetuity”, meaning they can increase prices due to having a monopoly on the market. The question is, “Will these new rules and regulations be applied to cannabis?” On the face it, and going by the Trump administration’s line of thinking, this would mean cannabis-based medicines ought to face fewer regulatory pressures. After all, there is lots of anecdotal and observational data showing the efficacy of cannabis for lots of different conditions, as well as patient reports. However, Scott Gottlieb has ties to lots of big pharmaceutical companies, including being on the board of GlaxoSmithKline. Many big pharmaceuticals bankrolled the fight against recreational cannabis being legalized, but this is by no means the whole picture. Indeed, there are many companies who are very interested in cannabis as a medicine. GW Pharmaceuticals from the UK, for example, developed the THC-based Sativex for multiple sclerosis (MS) patients, which is approved in the UK. They are working on Epidiolex, a CBD-based medicine for epilepsy that is looking to be the first cannabis-based medication to be approved in the United States. The results so far are looking promising, and if Epidiolex gets FDA approval, it would be a small but significant dent in the laws prohibiting cannabis in general. Big Pharma has historically lobbied against cannabis legalization, but the picture is more complex. Not all of big pharma sees marijuana as a threat to its painkillers. Many see it as a potential opportunity. You can rest assured that there are many big multinational corporations looking at the therapeutic and medical applications of cannabis, even if they are keeping their research small and hidden. Cannabis carries with it all sorts of regulatory requirements – more than even opioid-based medication testing – that most companies would rather avoid due to the legal headaches they cause. Big pharma isn’t opposed to cannabis as medicine – it is opposed to the competition it represents to their own drugs. Big pharma doesn’t mind there being a cannabis market, as long as it is under its own control. Gottlieb will likely carry on with the cannabinoid-by-cannabinoid research, which will in turn increase the cost of research, meaning that cannabis research will only be accessible to well-funded, highly specialized labs. Unsurprisingly, these are the sorts of labs available only to huge companies. At the moment, cannabis is a medicine that is wild. A person can easily grow it in a room or outside in their garden, especially in climates like California’s. Plant genetics would be extremely difficult to patent, especially as cannabis can reproduce sexually. This means a breeder could cross a patented plant with another one, thereby giving rise to entirely new and different cannabinoid profiles. An untameable medication represents a huge threat to the bottom line, as well as a huge legal nightmare. There is not much information out there regarding Scott Gottlieb’s stance on medical cannabis. He may be personally opposed to it, or possibly even be in favor of it, even if he is skeptical. However, what does look likely is that he will support pharmaceutical companies and the “traditional” methods of (less regulated) research. Gottlieb will likely only get onboard with medical cannabis when big pharma does – which they will do, eventually, as the war against cannabis looks unwinnable in the US at the moment.